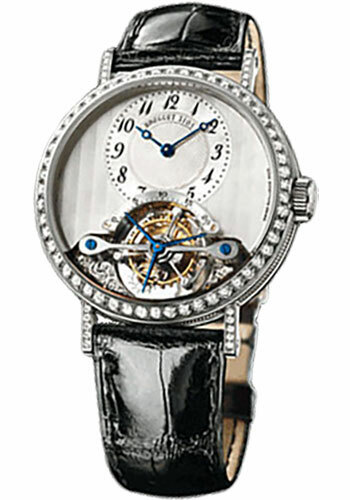 35mm 18K white gold case, 9.00mm thick, transparent back, 18K white gold bezel set with 74 diamonds (approx. 1.33cts. ), scratch resistant sapphire crystal, mother of pearl dial with off-set hour and minute sub-dial, calibre 558.1 manual winding movement, approximately 50 hours of power reserve, black alligator/crocodile leather strap, deployant buckle. Water resistant to 30 m (100ft).